Singhvi, meanwhile, refuted the allegations made against his family and described the action as “harassment” being meted out to him as he belonged to an opposition political party. The notice, the sources said, was issued on Tuesday to Anita Singhvi and that she was asked to explain how much she had paid in cash and through cheque to purchase the valuables and jewellery a few years back. It is understood that the I-T feels that about Rs 1.5 crore was paid by cheque for the purchase of the jewellery, while about Rs 4.8 crore was paid in cash by Anita Singhvi. The tax department wants to know the details of the transaction and the source of these funds as part of its tax evasion probe against Nirav Modi and his uncle Mehul Choksi, the promoter of the Gitanjali Gems group. “Purchases of jewellery allegedly in cash by my wife based on someone’s computer entry are no evidence. 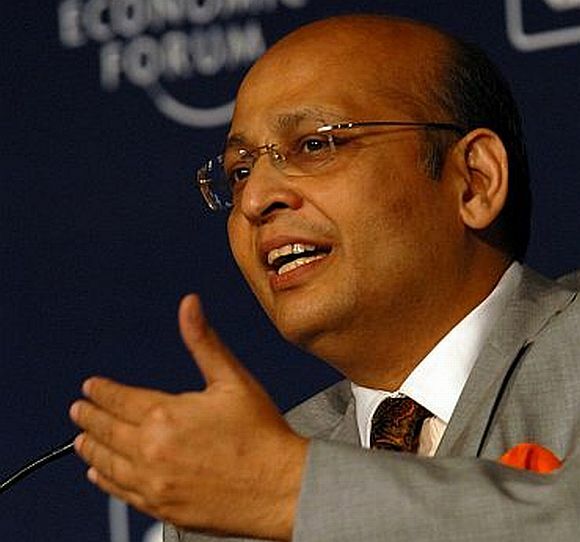 All 1.56 cr (crore) paid for fully in chq (cheque) and accounted for with receipts by India’s highest taxpayer (Singhvi himself),” the Congress leader wrote on Twitter. The Congress’s national spokesperson reiterated what he had said on February 17 that “neither my family nor I nor any co (company) of ours has the remotest lender borrower’s holder or director’s interest in any Modi/Chokshi co. 1 co – adwait -- had five yr (year) old tenancy to Modi (Nirav) co (vacated in 2017) & my wife purchased some jewellery all paid in chq (sic),” he added. The Rajya Sabha member also claimed that he happened to be “India’s highest taxpayer in my category for many years and often even across diff (different) categories”. “Purchases in chq (cheque) of large amts (amounts) all reflected in accounts. “Harassment, innuendo, insinuation must have its limits. 1st leak to friendly media, then issue notice 2only one,” he said wondering if the tax department would issue notices to all those whose names were found from the records of Nirav Modi after different probe agencies recently raided premises linked to him and seized documents and computer peripherals. Last week, Defence Minister Nirmala Sitharaman had alleged that the Nirav Modi-run Firestone Diamond International had taken on lease a property of Adwait Holdings, a company in which Singhvi’s wife is a director. Singhvi had threatened to slap civil and criminal defamation charges against Sitharaman, if she did not apologise for “false and malicious” allegations. Modi, Choksi and others are being investigated by multiple probe agencies after it recently came to light, following a complaint by the Punjab National Bank, that they allegedly cheated the nationalised bank to the tune of Rs 11,400 crore, with the purported involvement of a few employees of the bank. The Central Bureau of Investigation and the Enforcement Directorate have registered two FIRs each to probe the case.